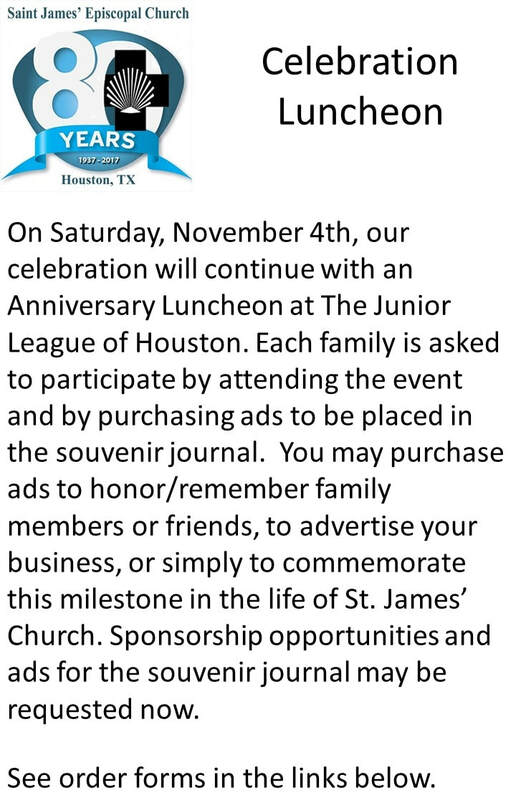 2017 marks the 80th Anniversary of St. James’ Episcopal Church, Houston. We are planning for a grand celebration of this milestone in the church’s life. There will be several opportunities for you to contribute to this event. 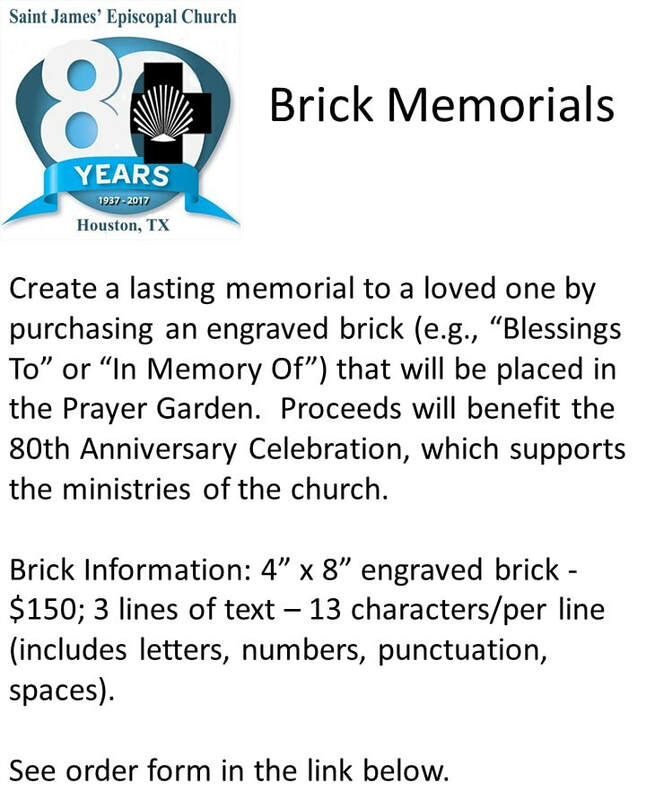 We will have an anniversary cookbook, memorial bricks, silent auction, t-shirts, souvenir journal and more. A celebration luncheon and special worship service are planned for November 4 and 5, 2017.